E is for Explore! 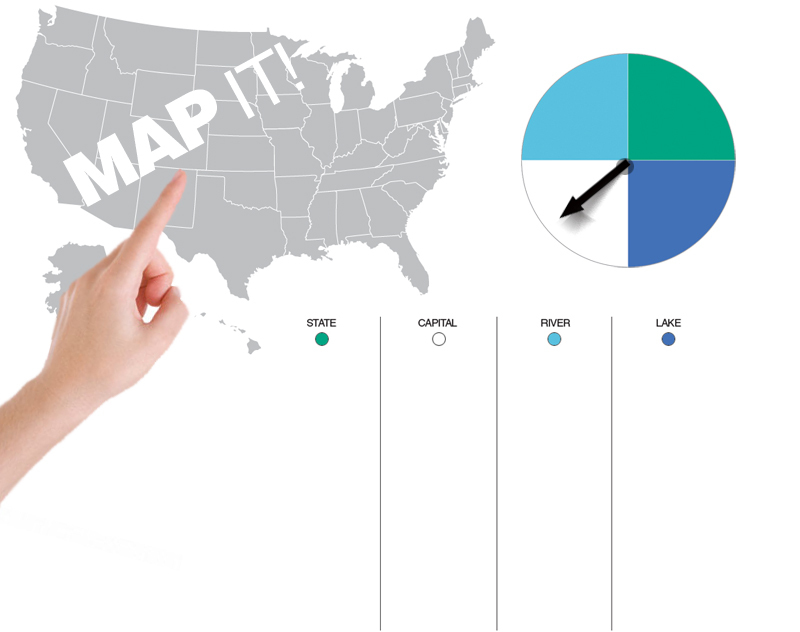 : Map It! Kids practice reading a map, while having fun! They flick a spinner and locate states, capitals, rivers, and lakes on a map. They write down each one they find on a recording sheet. Besides staying in the U.S., you could expand the game by having kids locate continents, countries, and oceans.